Do you have an interest in the future of Rainbow Creek? On Saturday, 8 December a community information session will be held at the Cowwarr Public Hall to talk about the long-term vision for Rainbow Creek. 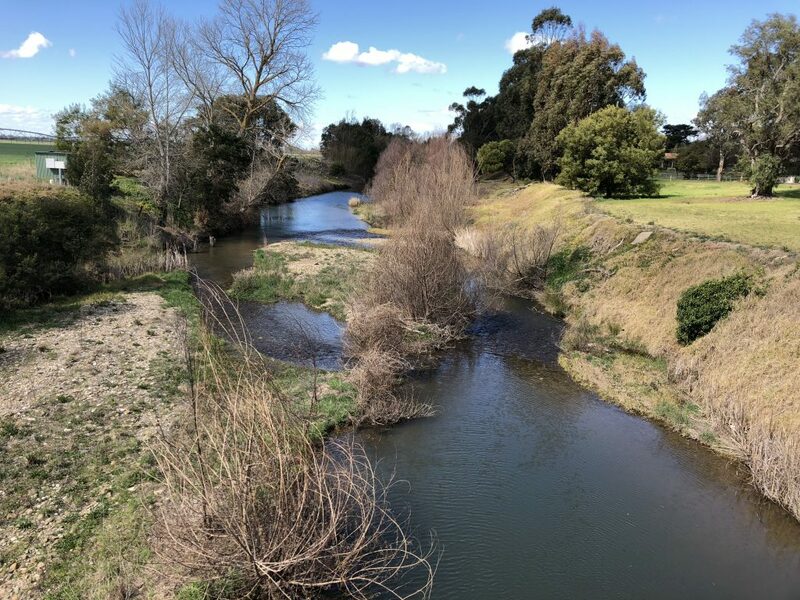 The meeting, hosted by the West Gippsland Catchment Management Authority (WGCMA), kicks off a project that will work with the community to develop a management plan for Rainbow Creek. According to WGCMA’s Waterway Project Officer, David Stork, Rainbow Creek has a ‘colourful’ history. “Rainbow Creek formed as a breakaway from the Thomson River in the 1950s and at the time caused major erosion, loss of productive farmland and a loss of flow into the Thomson River,” said Mr Stork. “Since the construction of the weir to split the flow between the Thomson River and Rainbow Creek there have been many changes. “Farmers have adapted by building infrastructure to help them continue to use their land, Rainbow Creek has continued to develop and change in response to floods and changes in flow. “More recent investigations indicate that a large future flood could cause the Thomson River to create a new channel again into Rainbow Creek at a different location. “This could be extremely challenging to affected landowners and significantly disruptive to irrigators and diverters. If we can address the risk of this happening and prepare for it, then we’ll be in a much better position to manage the implications,” continued Mr Stork. The Rainbow Creek Waterway Management Plan will be developed between December 2018 and September 2019. In order to gather information for the plan there will be a series of one on one interviews with Rainbow Creek landholders and input from a community working group that will be established to help guide the plan. “We want the Rainbow Creek community to have their say about the planning process to make sure the issues and options identified fit their needs and expectations,” continued Mr Stork. The community information session will be held at the Cowwarr Public hall on Saturday, 8 December from 11am to 1pm. A light lunch will be provided. At this meeting the steps involved in the project will be discussed and the community will be invited to share their view on important places and features of Rainbow Creek and local river management issues and opportunities. To RSVP, please email westgippy@wgcma.vic.gov.au or call WGCMA reception on 1300 094 262. If you would like to be kept informed and consulted about the plan development but cannot make the meeting please email your name and contact details to westgippy@wgcma.vic.gov.au with Rainbow Creek in the subject line.